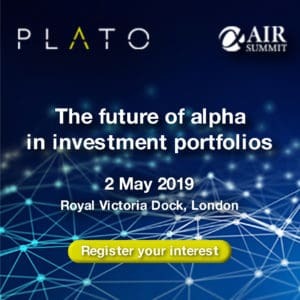 The world of investment management is changing with absolute-return strategies, portable alpha, hedge funds and yield enhancement becoming an integral part of the everyday life of traditional portfolio management, according to research and advisory firm TABB Group. 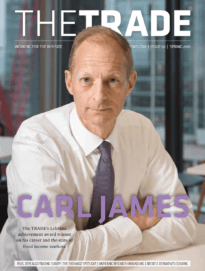 In its latest industry study, “Exchange-Traded Equity Derivatives: The Buy-side’s Increasing Exposure”, TABB Group reports that these changes are creating a “seismic shift” not only in the way exchange-traded equity derivatives – futures and options – are used, but also in who trades them and how they are traded. “As an increasing number of traditional fund managers migrate from long-only to 120/20 and 130/30 portfolios and become more adept at managing risk, employing absolute return strategies and extending leverage, derivatives will become a more important part of traditional investment strategies,” writes Andy Nybo, senior analyst at TABB Group and author of the study. “As this evolution occurs, institutional investors will have a greater need for a host of tools and services designed for the intricacies of the derivatives market,” he adds. As analytics, risk management and the greater use of specialised OTC derivatives become integrated into traditional equity-driven investment and trading tools, exchange-traded derivatives will become even more integral to managers’ strategies, the report finds. “Although algorithmic trading in the derivatives markets is still in its infancy, all of the components for its rapid development are present, including electronic liquidity, broad market participation and interconnected markets,” explains Nybo. “The equity derivatives markets are on the cusp of transformation,” adds Larry Tabb, CEO and founder, TABB Group. “They are becoming more ‘socially’ acceptable to the conservative long-only asset manager and, perhaps more importantly, to oversight boards that dictate policies and procedures. Long-only funds compete for AUM with less-restricted hedge funds that are aggressively using derivatives to enhance returns. This is forcing traditional asset managers to embrace equity derivatives as a means of both increasing and preserving returns,” he continues.